On the market - open for inspection! What kind of kitchen stools do you have? Would you change them? What if you had a new kitchen, would you pick something different? When it comes to designing a room, as we’ve discussed before and you’ve probably read over and over again, there’s a number of elements that should be combined to make a room work. 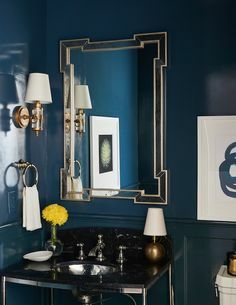 Obviously things like scale, proportion, balance, colour and even budget come into play, but there are more subtle influences like texture, contrast, shine, shape, number, height, comfort and of course, function. All this applies to selecting furniture items including kitchen stools. I was asked recently about what colour stools would look good in an all white kitchen with dark timber floors. My immediate reaction was “anything but white”, so I thought I’d do a bit of research to see why. Here’s an example of a predominantly white kitchen with medium stained timber floors, using plain white stools. I’m not a fan because I think it’s all too pastel, pale and a bit bland. It’s pretty but I feel it needs some texture, some contrast and some colour, even if that’s natural colour in the way of wicker, rattan or even a fabric which picks up the turquoise in the decorative plates and jars. Even an upholstered loose cushion on the seat would be an improvement. Here’s another example, by Mabley Handler Interiors in the Hamptons. They do beautiful, serene designs but sometimes I feel they lack a bit of punch. This can easily be added through contrast and the use of texture, colour and a touch of black. I love these upholstered chairs, a lovely classic design and look very comfy (although not ideal for messy kids) but I think the kitchen could have a bit more personality with a more punchy fabric or a more texture such as a wicker or rattan stool. Above is an example of how it can work, thanks to Judy at Verandah House Interiors. A similar kitchen to the other two, mostly white, grey and silver, with mid brown floors. The stools are white, but cleverly chosen blue and white striped loose covers add a punch of colour, interest, contrast and practicality which is perfect for its waterside location. If this house were in the city or country then you could swap to a darker leg. Here’s another option in the two images above. You can do dark timber legs on an upholstered stool, and either a plain white seat or use a patterned fabric. The dark legs tie in with the floor, making them more subtle rather than bright white sticks poking out of a dark base. 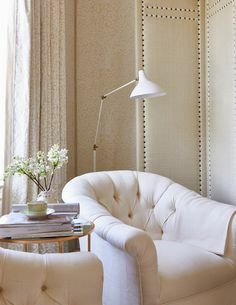 I love the use of the nailhead trim on the first, which provides a gorgeous detail and soft transition from the dark to light. In the kitchen by M Frederick Interiors, the lovely textural linen and gentle curve on the seats provide the texture and contrast to the shiny, smooth marble surfaces. This is one of my all time favourite kitchens, by Mick de Guilio. It was inspiration for my kitchen. The room is all white, save some neutral fabrics on the upholstered pieces, and one black bench at the back. But the very simple Japanese inspired dark stained timber stools are the perfect addition to the room, providing a counter balance to the dark floors and stunning pendant light, but breaking up the wall of white cabinetry and adding interest, contrast and sophistication. Imagine if they had been all white, a bit too wishy washy and bland in my opinion. This kitchen is another favourite. I love the thickness of the marble, the solid design of the island joinery, the beautiful grey/blue panelled and coffered ceiling, the pendants, the marble splashback and concealed range – oh just about everything. And I think the stools are the perfect choice here too. They provide texture by the grass seat and timber frame, they blend beautifully with the timber floor and break up the dominant white providing interest and contrast. Of course there are loads of other options. You can go stainless or brushed steel above and below. Picking up the silver tone in the appliances and hardware. Then there’s the decision about whether to have a standard stool or one with a back. I’ve had both and I prefer the ones with a back simply because I find them more comfortable when you have back support and something to lean on. I have a bad back so stools are good for perching on, but I don’t want to linger. Some people prefer their seats to be tucked away under the bench out of sight, rather than poking out above the island top and breaking up the clean lines, which I can understand. I’m not a big fan of this look, because I think the all white seat and legs makes them stand out too much against the dark floors, looking like big white blobs and detracts from the kitchen. Perhaps a stained leg or more interesting fabric would have helped? This is the image that inspired my kitchen roman blind. I saw these pretty upholstered stools with the gorgeous box pleats and braid trim and thought it was heavenly, as it features all my favourite colours and I adore Chinoiserie and toile. I tracked it down, but it was discontinued so I could only get 3m, barely enough to make a blind, but I think it’s really pretty in our kitchen. I chose these woven wicker chairs because they blended in with the floor colour, they provided contrast of colour and texture to all the white, silver and grey, they had comfortable backs, were the perfect height and weren’t too expensive. They work well picking up the light browns in the toile fabric of the blind and the other wicker/rattan pieces. Admittedly noodles and spaghetti do tend to get a bit squashed into the weave and can be a bit tricky to get out. I love the windsor chair in this gorgeous Eastern suburbs home designed by Lynda Kerry Interior Design. Simple, classic, timeless and work perfectly with the black benchtops, dark floors and black hardware. This is another favourite kitchen (above). In fact the whole of this house is amazing. I think the stools are perfect for this kitchen. Love the height, scale, shape and colour. Another great alternative is cane with either a rattan or cushion top. Although they are white, in my opinion the stools above work because of the woven rush seat and the shape. The circular shaped seat and curved legs are a good contrast to the straight lines of the kitchen. The light gold of the seat provides texture and colour, which works with the wicker basket on the benchtop and the gold lining of the pendants. As they are backless stools, they are less obtrusive and just blend in. Here’s some more ideas…..
Obviously when you are choosing the stool you need to take into account the height of the benchtop and the distance from the floor to the top of the seat making sure you have enough legroom not only to the underside of the bench, but to the back of the island cabinets. And comfort is a big factor too. I took a bit of a risky buying my stool online because I had no idea if they would be comfortable or not. Lucky they are. I hope you’ve found some ideas and inspiration in today’s post. For sources and more ideas about kitchens and stools, check out my Pinterest boards here. So what’s your preference for seating at a kitchen bench? SURVEY – It’s been a few months since launching the new blog and website and I’d really love to get your feedback. It’s anonymous and should only take a few minutes, but I’d love to know how I can improve or change the blog to meet your needs and expectations. I’m especially keen to know how the new blog layout and design is working for you. You can go here to complete the survey. It would be a huge help, so thank you in advance. Just wanted to tell you how much I enjoy your blog. I have 2 favorites, Classic Casual Home, which is where I found your blog, and yours! You always love your posts and your style and you do a wonderful job at sharing things that are current and stylish. Exactly my taste! I just wish you weren’t SO very far away. Maybe someday, I will get to experience the wonder and beauty of Australia! Keep up the great work….I’m a huge fan!!!!! Forgot to mention, I have an all white kitchen only with black granite countertops. I really wanted white marble, but everyone said it was hard to care for and stained easily. But seeing these makes me wish I’d gone for it! I would take any one of these kitchens…..loved every one!!! In the near future I want to do a small remodel having counter stools added to a nice island. I do know one thing after seeing the photos I like the stools with back support. I have vintage cane and they are so desperately in need of the cushions being recovered. I love the cane ones you have there with the Frenchy looking weave. Love your work, Mel! Such an informative and inspirational post. Thank you for sharing. I’ll be pinning a few of these pics! Loved your post! I am agonizing over my kitchen stools right now — so much harder to choose than I thought it would be. 🙂 I love the ones you chose for your own kitchen. Would you mind sharing where you purchased them? Thank you!! 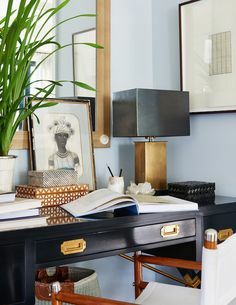 I have searched for your windsor bar stools – I love the simplicity of them – would it be rude to ask where I can but them or are you able to source them for me for a fee? I need four. My only concern is that the black will clash with our island bench which is in Dulux Tresspass (blue undertones. We have black oil rubbed wide timber floor boards (devine ) and the rest of the kitchen is in Resene !/2 Truffle. Its a hamptons inspired look with statuary marble splashback and bell jar glass pendants. What do you think? Hi Sandy, I don’t have Windsor bar stools I only have wicker ones I found online. I do have a contact for beautiful Windsor stools but I’m on holiday at the moment. If you email me I will send you the details on my return. I was wondering how your counter stools have held up over the years? I am thinking of buying counter stools for my kitchen island but have been a little reluctant because I am not sure they will hold up well if we plan on using them everyday. Do you remember where you purchased your counter stools? Hi Mel, I love your style and your kitchen has been the inspiration for mine which is being installed this week! I am looking at bar stools for my kitchen and agree I need timber for contrast and texture.